We offer award winning health, beauty and wellness services and products at nine convenient locations throughout the greater metro Atlanta area. Thank you for voting us “The Best” three years in a row! Going Green DO YOU HEAR THAT? It’s the sound of nature springing to life after a long winter’s nap. Birds are chirping, flowers are blooming and children are playing outside as the weather gets warmer and the days grow longer. This month at Smyrna Vinings Lifestyle, we bring you our Eco issue in honor of Earth Day on April 22. Inspired by the infinite beauty of the earth—and our desire to preserve and protect it—we compiled an array of eco-conscious and eco-friendly people and places. From eco-minded artists and businesses to an environmentally friendly weekend getaway, this issue is a celebration of all things Mother Nature. 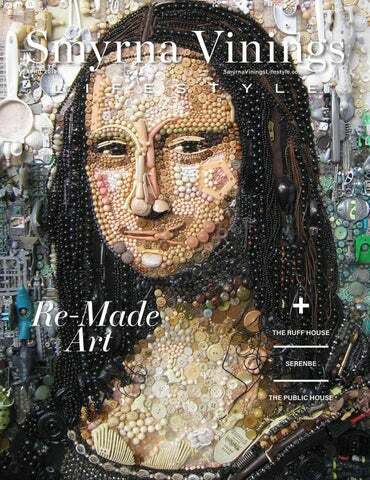 Throughout this issue, you’ll find simple ways to be more eco-friendly, like re-making art with pieces of plastic, paper and odds and ends. Not sure where to start? When you’ve finished enjoying this issue, we encourage you to recycle it so it can be turned into future magazines. After all, that’s what makes the world go ‘round! via the US Postal Service to some of the Smyrna Vinings areas’ most affluent neighborhoods. portion of this magazine may be reproduced in any form without written consent. 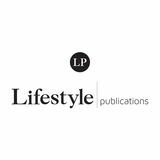 Lifestyle Publications does not assume responsibility for statements made by advertisers or editorial contributors. Information in Smyrna Vinings Lifestyle™ is gathered from sources considered to be reliable, but the accuracy of all information cannot be guaranteed. Spring is Blooming! Spring Is Blooming! Show your appreciation with a unique & custom floral bouquet, a beautiful blooming plant basket, wonderful gift items or gift baskets and much more! Remember to shop local and support small businesses. A Home Fresh To Give Your HomeNew Lo Time Time To Give Your Time To Give Your Home A Fresh New Look? A Fresh New Look? To Give Your Home Time Time To AGive Your Home Fresh New Look? Time ToTo Give Your Home Time Give Your Home A Fresh New Look? A Fresh New Look? AAFresh New Look? Fresh New Look? • Exterior & Interior Painting • Pressure Wash & Prepare All Surfaces For We Have Painted Over • Repair Exterior Wood and Siding as Need • Exterior & Interior Painting 7,500 Homes Since 1995! We Have Painted Over • Color Assistance & Interior Design Service • Pressure Wash & Prepare All Surfaces For We Have Painted Over 7,500 Homes Since 1995! • Written Warranty Provided • Repair Exterior Wood and Siding as Need • Exterior & Interior Painting 7,500 Homes Since 1995! WeHave Have Painted Over • Fully Licensed & Insured for Your Protection We Painted Over • Color Assistance & Interior Design Service • Pressure Wash & Prepare All Surfaces For Painting • Exterior & Interior Painting • Exterior & Interior Painting 7,500 Homes Since 1995! • With Our Plus Services You Maintain Your 7,500 Homes Since•1995! • Painting Written Warranty Provided • Repair Exterior Wood and Siding as Needed •&Pressure Wash & Prepare All Surfaces For Painting Pressure Wash Prepare Surfaces For • Exterior & InteriorAll Painting • •Color Assistance & Interior Design Services Available We Have Painted Over • Fully Licensed & Insured for Your Protection • Repair Exterior Wood and Siding as Needed Exterior & Interior • Exterior Repair Exterior Wood and Siding as Surfaces Needed • Pressure Wash &Painting Prepare All For Painting & Interior Painting • & Interior Sp • Exterior Color Assistance &Painting Interior Design Services Available 7,500 Homes Since 1995! • •Written Warranty Provided Pressure Wash & Prepare All Surfaces For Painting • With Plus Services You Maintain Your Call TheOur Experts Today! Painted Over s Since 1995! Painted Over s Since 1995! Serviced by Randy’s Painting Plus! Recent Home Serviced by Recent Randy’sHome Painting Plus! Recent Home Serviced by Randy’s Painting Plus! 770.424.4114 Offer! 770.424.4114 Voted Best Painter 770.424.4114 Offer! Special 10% Off Any Full Call The Experts Today! 770.424.4114 Call The Experts Today! The winners of the 2018 Smyrna Vinings Lifestyle Readers' Choice Awards had fun celebrating and enjoying food and drinks at Hotel Indigo in Vinings. The Public House at Vinings is the newest social gathering spot in the historic Vinings neighborhood. cakes, peanuts and popcorn as well as exciting entertainment and fun for the whole family! 43RD ANNUAL SUPERIOR PLUMBING KENNESAW/BIG SHANTY FESTIVAL Come enjoy the 43rd annual Superior Plumbing Kennesaw/Big Shanty Festival April 13 and 14. The downtown Kennesaw area will be transformed into a giant family-friendly festival. There will be a variety of activities to entertain all ages. Take time to wander through more than 200 booths featuring a vast array of one-of-a-kind and homemade crafts. The Superior Plumbing Big Shanty Festival has grown through the years to become one of the largest arts and crafts shows in north Georgia. PUT MORE IN. GET MORE OUT OF LIFE. We all want more. More energy. More strength. More results. Orangetheory is scientifically designed to give you exactly that. Every workout includes a unique combination of cardiovascular, power and strength training to change your body at the cellular level, so you can live a longer, more vibrant life. OTF Smyrna 4495 W Village Way, Smyrna, GA 30080 678-539-9715 *First-time visitors and local residents only. Certain restrictions apply. $28 minimum value. At participating studios only. Orangetheory®, OTF® and other Orangetheory® marks are registered trademarks of Ultimate Fitness Group LLC. ©Copyright 2018 Ultimate Fitness Group LLC and/or its affiliates. Brawner Hall (circa 1910) and the Taylor-Brawner House (circa 1890) located in the beautiful 10-acre Taylor-Brawner Park at 3180 Atlanta Road and the Reed House (circa 1910) located on 3.5 private acres at 3080 Atlanta Road offer unique destinations for memorable meetings and events. T h e r e s ta u r a n t i s a lways f u l l o f p e o p l e — f r o m d i f f e r e n t pa r t s o f t h e c o u n t ry t o yo u r n e i g h b o r n e x t d o o r .
offers fresh, traditionally cooked food—not any of that prepackaged food you cut open and pour out of plastic bags. Chef Christopher Rucker takes pride in creating fresh, fun dishes every day at the Public House. Christopher grew up standing on the kitchen step ladder, making salmon croquettes with his mother and grandmother. That was the first dish he ever learned to prepare. From there, his love for food and passion for traditional cooking began. Christopher has several favorites like the pork belly tacos and the flatbread pizza offered in the restaurant, but one of his favorites is the charred octopus with Romesco sauce. This exotic and unique dish is dee-lish! REUSING “JUNK” FOR ART HAS BEEN A REUSED CONCEPT IN ITSELF FOR QUITE SOME TIME, MORE MARKEDLY SINCE THE EARLY 20TH CENTURY WITH LEADING ARTISTS PABLO PICASSO AND MARCEL DUCHAMP, AMONG OTHERS, AS ITS INNOVATORS. Seeing that environmental matters have become more critical in recent years, many artists feel increasingly compelled to use recycled materials as a thoughtful medium of choice. British artist Jane Perkins rescues predominantly plastic items that would likely be destined for a landfill or become the scourge of marine life. She extends the lifespan of ordinary discarded objects by repurposing them as art material, skillfully determining their placement in a composition according to color, shape, tex"The Afghan Girl"
ture and size. Astonishingly, she does not paint or alter them in any way for the benefit of her creations. That approach to art-making is painstakingly patient and worthy of admiration, as well as bewilderment. Along with original works, her reinterpretations of famous masterpieces—which, come to think of it, are intrinsically recycled artworks themselves—may appear simple and recognizable from afar, but up-close they are exceedingly complex, unexpected and often quirky and amusing, demonstrating her command of the “assemblage” technique, where three-dimensional found objects are creatively up-cycled into a work of art. “I AM A ‘RE-MAKER,’ TAKING INSPIRATION FROM FOUND OBJECTS AND WORKING THEM INTO SOMETHING NEW.” –JANE PERKINS To see more of her amazing work, visit BlueBowerbird.co.uk. Homes and hamlets are connected by looping country roads and a network of well-worn footpaths that make walking easier than driving. At Serenbe, wellness is an everyday activity. The community at Serenbe feeds its residents in more ways than one. They have created a place where people are drawn together over gardening, cooking, books, art, ideas and even over back fences. The vision for the community of Serenbe was born in an effort to protect the beautiful rural land just outside of Atlanta known as Chattahoochee Hill Country. The first house at Serenbe was built in 2004, and today the community is home to more than 650 residents. Serenbe has won numerous awards including the Urban Land Institute Inaugural Sustainability Award and the Atlanta Regional Commission “Development of Excellence." EarthCraft named Serenbe the “Development of the Year.” The design of Serenbe was inspired by the past and built for the future. Serenbe is a place you can enjoy for a meal, a weekend or call home for a lifetime. This is a community where people live, work, learn and play in celebration of life’s beauty. A place where connections among people, nature and the arts are nourished. The master plan for Serenbe calls for multiple hamlets based on English villages, all designed on sacred geometry principles with buildings clustered along serpentine-like omega forms fitted to the undulations of the land. This method of arranging the community requires minimal land disturbances and allows the community to reserve large areas of undeveloped green space. Fresh food is another of Serenbe’s natural assets, with a 25-acre organic farm, a seasonal Saturday farmers market, thriving CSA program and edible landscaping, including blueberry bushes along paths and sidewalks. Year-round cultural events include outdoor theater from Serenbe Playhouse, culinary workshops and festivals, music events, films and lectures, boutique shopping, art galleries, a spa and trail riding, plus a robust Artist in Residence program featuring dinners and talks. Check the calendar for wine dinners in the garden, animal feeds, hayrides, outdoor theater and culinary classes. The rolling countryside and pastoral elegance of the Inn at Serenbe—coupled with three critically acclaimed restaurants, spa and shops just steps away in the Serenbe community—create an unforgettable and exclusive setting for weddings, corporate team building and weekend getaways. Serenbe is conveniently located only 25 minutes south of Hartsfield-Jackson Atlanta International Airport. Bomar Law Firm, CONTRIBUTORS: SERENBE FARMS: A certified organic farm that provides more than 300 varieties of vegetables, herbs, flowers and fruits to each of its farm-to-table restaurants, plus the Saturday farmers market and annual community-supported agriculture (CSA) program. seasonal dinner menus and a famous fried chicken lunch on weekends. THE HILL: Lunch, brunch and dinner full of fresh ingredients from Serenbe Farms and other local purveyors. remodeled and expanded over the years. intact: nine working fireplaces, stackedrock foundation, heart-pine floors, wainscot, bead-board ceilings, hand-hewn beams, plaster walls and 11-foot ceilings. Step back 165 years as you enter this well-tended 12-acre pioneer farmstead, replete with barn and outbuildings. Visit ConcordCoveredBridge.org/ tourofhomes and sign up for early notification to attend this premier event. You hire our entire team, not just one agent! DID YOU KNOW THAT IN 2016, WORLD PLASTIC PRODUCTION TOTALED AROUND 335 MILLION METRIC TONS, ACCORDING TO THE EARTH DAY NETWORK? Although you probably can’t singlehandedly change the environmental toll of the amount of plastic pollution that comes from that kind of number, here’s one way you can curb your consumption and do your part toward a healthier environment. The Smyrna Business Expo is your chance to meet over 200+ local business owners, generate business leads, close deals and enjoy great food. Join us for networking, building business relationships and meeting local entrepreneurs. Proceeds will be donated to the SBA scholarship fund This event is free and open to the public and door prizes will be awarded throughout the evening. Call Joseph at the UPS Store at 770-595-2163 for sponsorship and vendor information. most of all FUN! This event will help prepare you for those 3.1 miles at the Plus Strut 5K. This program is designed to inspire young women to become smart, poised and confident. We'll incorporate group discussions and fun activities. SCC's goal is to teach young women to advocate for themselves by finding their voice and unique identity. ables, a "bunny hop" and yes, candy-filled eggs. The evening will end with a movie for the kiddos. Activities will begin at 5 p.m. and end at dusk; movie will begin at dusk. Drop your dog off to play or get groomed and we’ll transport your pet to the vet while you work or play. to be a one-to-one learning experience for elementary-age children and their parent/caregiver. The activities are too complex for children under 5 years old. Park April 19-21 celebrating its 15th Fest with four stages hosting a varied lineup of jam, rock, Americana, alternative, reggae, EDM, local artists and comedians. PROUD TO OFFER “OPEN ACCESS” COLONOSCOPIES This allows a patient to schedule a colonoscopy over the phone without a prior office visit. A colonoscopy is the gold standard screening test for colon cancer and polyps, as recommended by top experts as the preferred option. A colonoscopy is the only preventative test that can diagnose AND remove polyps from the colon. Stool based tests have low accuracy (less than 50%) for detecting colon polyps. Candidates are at least 50 years of age (or 45 if you are African-American ), or have a family history of colon cancer. festival foods while shopping the arts and crafts market downtown. There will be lots to see and do downtown! Visit the Crawfish Boil in the Market Village, too! Watch for announcements on Facebook, Twitter and Instagram. Set up your screening today. Why wait? Get checked. Colonoscopy is recommended by the American Cancer Society, the US Preventative Services Task Force, the American Gastroenterological Association and the American College of Gastroenterology. LifeLinkFoundation.org to see how LifeLink is celebrating. A new high eff iciency heating and cooling system! Financing Available Limited Time Bartlett offers innovative heating and cooling systems with variablespeed technology. These ultra quiet systems provide more even levels of temperature, while operating in slower speeds to use less energy. A Carrier Infinity variable-speed system understands your homeâ&#x20AC;&#x2122;s heating and cooling needs, flexibly adapting its output to provide you the best levels of comfort. Deck some new halls this year. There’s no place like home for the holidays and there’s no better place to close on that new home than Parast Law. For the best closing you’ve ever had, be sure to write us in your next contract. Wishing you a very Merry Christmas and a Happy New Year!